Our ASUS Service Centre here in the UK has all the experts and technicians that can look after your broken smartphone. 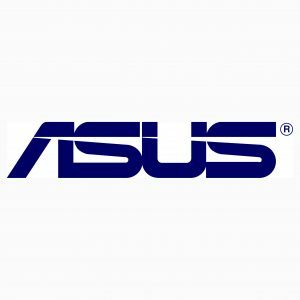 We provide reliable repair services for ASUS phones in the UK with professionals at your service any time. Whether your phone’s display screen has a disgusting spider web crack that you need to get fixed or you dropped your phone in the pool, you can easily call our local ASUS service centre and discuss with us. No matter which ASUS smartphone you have, we have suitable and customised solutions for your phone. Our experts know the most popular ASUS smartphones like the ASUS Zenfone 5, ASUS Zenfone PegASUS 4s, ASUS Zenfone 4 Max and ASUS Zenfone 4 Selfie Pro inside out. We offer Glass & LCD Repair, LCD Screen Repair, Glass – Digitizer Repair and Power / Volume / Mute / Rotate Button Repair for any ASUS smartphone. Apart from that, if you accidentally dropped your smartphone and damaged your phone’s camera or charging port, then we are at your immediate service. With the technological understanding and skilled team of engineers, every problem from broken screens to failing charging port of your phone can be easily fixed. Why Choose Our ASUS Service Centre? Our team of brilliant tech savvies and geeks are skilled to provide smart solutions to any issue you are currently facing. We have successfully mastered the art of personalising our services according to the model of your ASUS phone. We are professionals who are focused to deliver you with the best of our ASUS phone repair services! To experience our unparalleled services, give us a go- ahead and get your ASUS phone fixed!